Although eSports scholarships have experienced explosive growth in the last year, varsity scholarships for eSports have actually been around since 2014 when Robert Morris University (RMU) in Chicago, Illinois became the first university in the nation to offer substantial scholarships for members of the schools inaugural Varsity eSports League of Legends team. Qualified gamers earn scholarships of up to 50% tuition and 50% room and board. Scholarships.com reports that this totals up to $19,000 a year (or up to $76,000 over four years). Since then, nearly 100 schools across the U.S. and Canada have begun offering official eSports programs. The number of schools offering the program is expected to reach (or possibly exceed) 120 by the end of this year, and we’re willing to bet that many of these schools will be eager to attract talent, meaning scholarship awards will likely be part of the package. For now, Scholarships.com reports that more than 30 U.S. colleges and universities offer considerable scholarships for gamers. Leading the way are schools such as the University of Utah—one of the largest schools to offer scholarships for gamers, University of California-Irvine—the first public college to build a gaming arena, and Stephens College—the first women's college to sponsor a varsity team and offer video game scholarships for women. These and other schools hope that playing on eSports teams will encourage students to engage in all areas of the gaming world from art, design, and development to marketing and management, graphic design, production, and more. 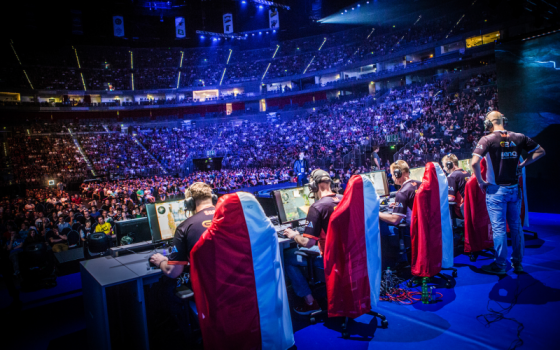 ESports scholarships typically follow the same rules as other scholarships, so academics and merit are major considerations. Like other athletic scholarships, eSports scholarships also consider athletic ability (player skill), the ability to communicate, open positions on the team, etc. Scholarship amounts and deadlines vary by school. For example, Ashland University is offering up to $4,000 per year in eSports scholarships beginning fall 2018 and, as mentioned, RMU offers one of America’s most substantial eSports scholarships, totaling up to $76,000 over four years. Schools such as Schreiner University offer scholarship opportunities totaling up to $40,000 over four years, and scholarships at other schools such as Missouri Valley College total $60,000 over four years. As a way to stay competitive with other universities, Miami University began offering partial scholarships for the first time this fall for varsity eSports. It joins the list of several dozen other schools that currently offer partial scholarships. As their programs grow, many of these schools say they will begin offering full scholarships. For current scholarship award amounts and deadlines, during your search for a program (see our list below), check with the school’s admissions or financial aid office. NCAA Division I: Highest level of intercollegiate athletics sanctioned by the National Collegiate Athletic Association (NCAA) in the United States. NCAA Division II: Intermediate-level division of competition in the NCAA. NCAA Division III: NCAA's largest division with around 450 member institutions. NAIA: National Association of Intercollegiate Athletics (NAIA). NJCAA: National Junior College Athletic Association (NJCAA). Chu, Susan. “24 Esports Scholarships for Gamers.” Tun.com, The University Network, May 2018. Web. 22 Aug. 2018. “Colleges roll out scholarships to varsity video game players.” CBS.com, CBS News, MoneyWatch, 27 Nov. 2017. Web. 22 Aug. 2018. Kissell, Margo. "Game on: Esports maintains a growing presence at Miami." Miami University. Miami University, 03 Jul. 2018. Web. 20 Aug. 2018. “Providence looks to join 'the cutting edge' with addition of eSports.” Great Falls Tribune, USA Today Network, 16 Jan. 2018. Web. 22 Aug. 2018. Robison, Neal. “Esports Is The New College Football.” Forbes, Forbes Media LLC., 30 Jan. 2018. Web. 16 Sept. 2018. Ruediger, Troy. “17 colleges with varsity esports programs: The rise of collegiate gaming.” blog.starters.com, Starters, 23 Mar. 2017. Web. 22 Aug. 2018.